As well as a few MQs of Sarah that I added to the gallery last night, I’ve just added a ton of high quality images of both Nicola and Sarah leaving the Cosmo Ultimate Women of the Year awards. Big thanks to girlsaloudmedia.com for the HQ pictures! Sarah and Nicola both attended Cosmopolitan’s Ultimate Women of the Year Awards tonight and both of them looked gorgeous! Check out the images below. 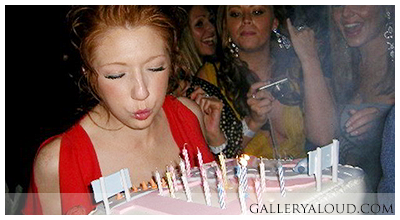 Today is Nicola’s 28th Birthday so make sure you tweet her your birthday messages! Posted on October 5, 2013 Written by Katie Comments Off on Happy Birthday, Nicola!